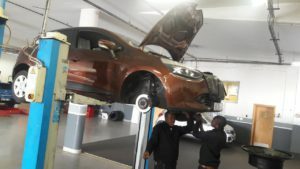 Trusting your vehicle with any mechanic is a huge issue for most new and experienced car buyers. It is one of those tasks that even when you are only requesting a quote, you might close your eyes in hopes that the amount which will be reflecting on the quote is not going to burst your pockets. Ephrone is the first person you will meet, on any typical day at the workshop. He is usually his funny and extroverted self. 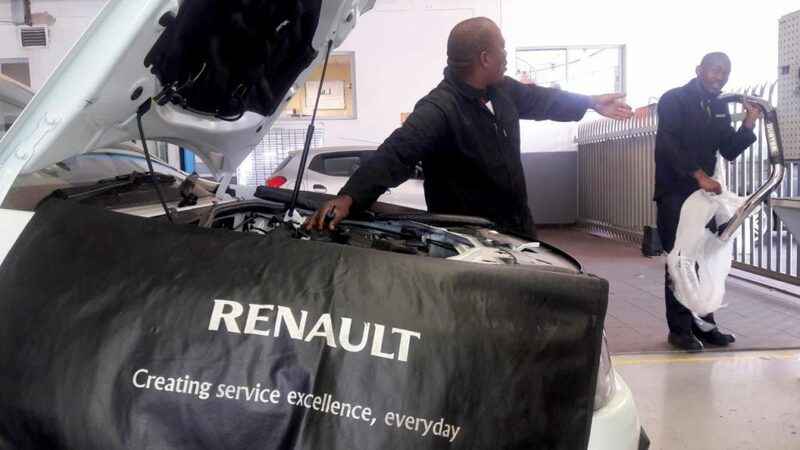 Quite often you’d hear him say ‘’this thing is not easy’’ referring to the skill required to work on any Renault issue from maintenance, repair or service work. But then, he will say,’’ but no worries, we will figure it out’’. 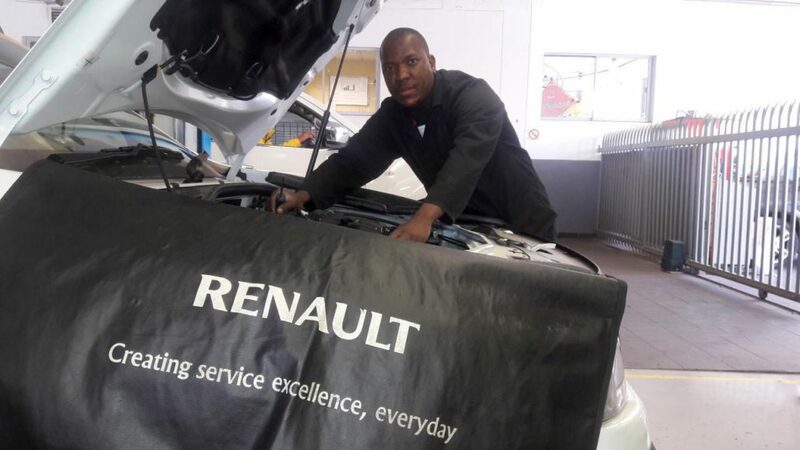 Seen here is Ephrone, a certified Mechanic with eight years of experience working with Renault vehicles. 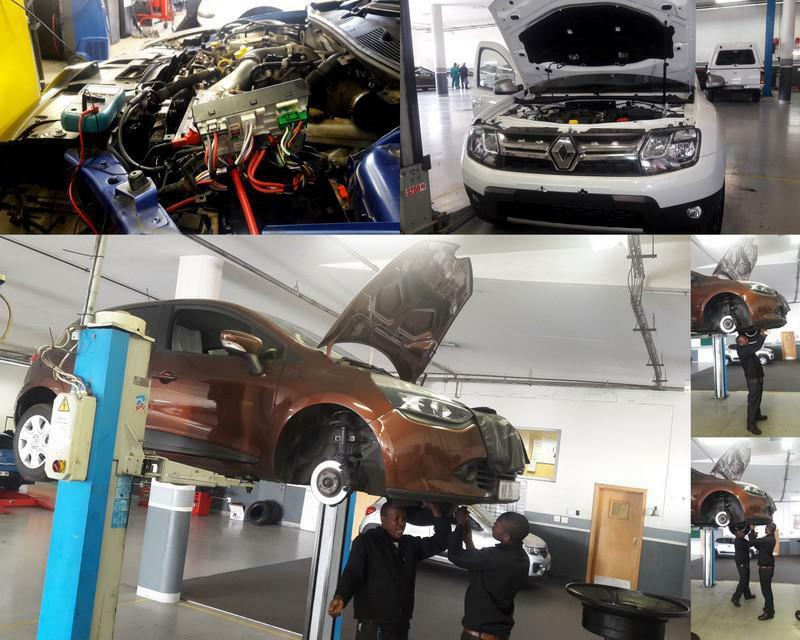 Right now, as seen here he is entrusted with the responsibility of passing on his years of experience to one of the learner – Timothy Mamabolo in his pursuit of becoming a better mechanic than Ephrone. 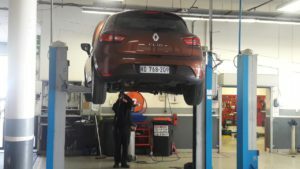 For all your Renault’s mechanic or technical issues contact us at CMH Renault Midrand. 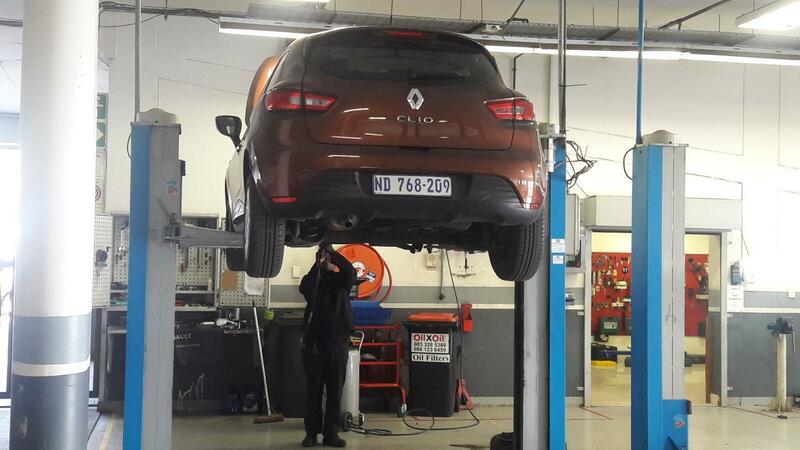 We have competitive prices, great repair work, parts and great turnaround service time at your convenience. Even if you were to take your car to another stakeholder you can contact us and let us beat their price! Contact us for any of your repair, service or maintenance concerns and our experts will kindly assist you.